The wonderful young cellist Natalie Clein has been a familiar name since winning the BBC Young Musician of the Year competition in 1994. Since then, she has pursued a distinguished career performing with the most celebrated orchestras and conductors around the world. She has also made a number of recordings—generally concentrating on the most popular cello repertoire. For her Hyperion debut she turns to a composer who is extremely close to her heart, the great Hungarian national composer Zoltán Kodály, who by his discovery and creative use of his folk-music heritage forged the standard by which twentieth-century Hungarian music should be judged. Kodály made a decision to concentrate on instrumental and chamber music in his composing career, and he seemed to achieve more powerful results the fewer instruments he dealt with. He displayed elegant formal grasp and structural sophistication in his two string quartets and sheer passion and epic sweep in the violin-cello Duo (1914). But above all towers the amazing, ardent, pugnacious Sonata for Solo Cello (1915), the greatest utterance in this most demanding of genres since J S Bach’s solo cello suites. Calum MacDonald writes that ‘Had he written nothing else apart from this magnificent sonata, Kodály would still deserve to be accounted one of the greatest musical geniuses that Hungary has ever produced’. Natalie Clein’s performance of this highly emotional monologue is a passionate, coruscating tour-de-force. 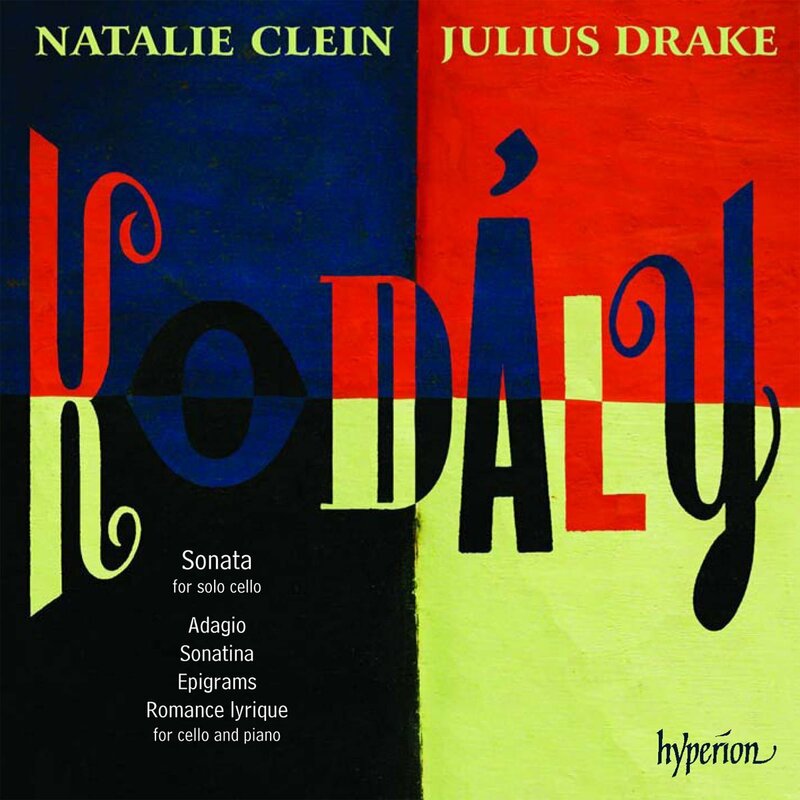 Also included are a delightful selection of Kodály’s other works for cello; performed here with Hyperion regular and Natalie’s frequent duo partner, Julius Drake. The final two pieces, Romance lyrique and Adagio, are student works, exuding an innocent romanticism that Clein and Drake capture to perfection. Altogether, an imaginatively planned disc, and one played compellingly.